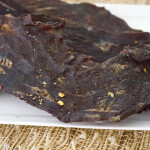 The highest quality Beef Jerky comes from Custom Quality Meats in Fort Wayne. Just great taste with high protein values and low fat. Try some today. Our Jerky can be purchased at Phil’s One Stop as well as many other small mom and pop stores around the Fort Wayne area. Interested in being a supplier? Get in touch with us today to get started.